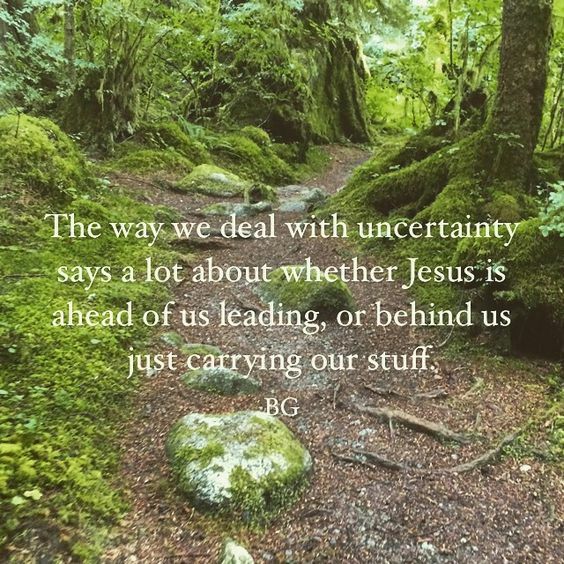 I saw this quote from Bob Goff on letteredcottage’s Instagram feed yesterday. I don’t think any of us would sign up for an uncertain future. I think we all like to know what’s ahead, what we should expect next, and how our present circumstances will all work out in the end. But that’s not always God’s plan. This brings me full circle for the week, right back to the trust that I wrote about on Monday. At some point, I will be put to the test. I will get to make the choice – am I going to trust God to lead me through this situation, or I am going to try to find my own way? We all know in our hearts that His way is best, but the actual practice of packing away our worry and leaving our uncertainties at His feet takes Holy Spirit help. He uses God’s own words to give us comfort and peace, no matter our current struggle. “For I know the thoughts that I think toward you, saith the Lord, thoughts of peace, and not of evil, to give you an expected end.” (Jeremiah 29:11) He Who knows the beginning and ending of all things will surely lead us into His best for us. "Christ makes no less of our trust for temporal things than he does for spiritual things. He places a good deal of emphasis upon it. Why? Simply because it is harder to trust God for them. In spiritual matters we can fool ourselves, and think that we are trusting when we are not; but we cannot do so about rent and food, and the needs of our body. They must come or our faith fails. It is easy to say that we trust him in things that are a long way off, but there can be no trifling about it in things where the faith must bring practical answers. It is easy to have faith for our needs, and to trust him when the sun is shining. But let some things arise which irritate and rasp and fret us, and we soon find whether we have real trust or not. And so the things of everyday life are tests of our real faith in God, and he often puts us where we have to trust for tangible matters—for money and rent, and food and clothes. If you are not trusting here wholly, when you are placed in such tests you will break down. Are you trusting God for everything through the six ordinary days of the week?" This struck home because it is easy to "trust" God for spiritual things when we're just fooling ourselves. But we can't fool ourselves about things like food and mortgage payments because those are tangible. What great insight – and so true! Trusting in the daily, ordinary circumstances of life can be the most difficult thing to do! "We all know in our hearts that His way is best, but the actual practice of packing away our worry and leaving our uncertainties at His feet takes Holy Spirit help." Love, love, love. And if this post could possibly go better with the Scripture/devotion I just read about 5 minutes ago, I don't know how. God is clever and good that way. 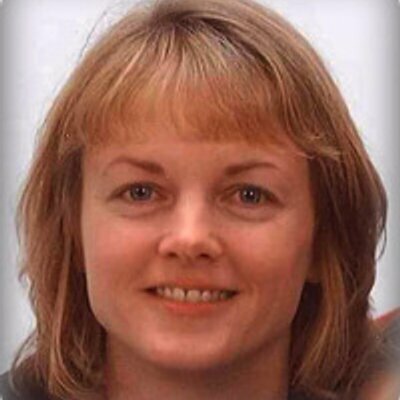 Thank you, Tracey. Continually amazes me how God speaks into our lives just what we need at a particular moment, often from multiple sources! This quote is how I deal with EVERYTHING anytime anything makes me start to freak out.